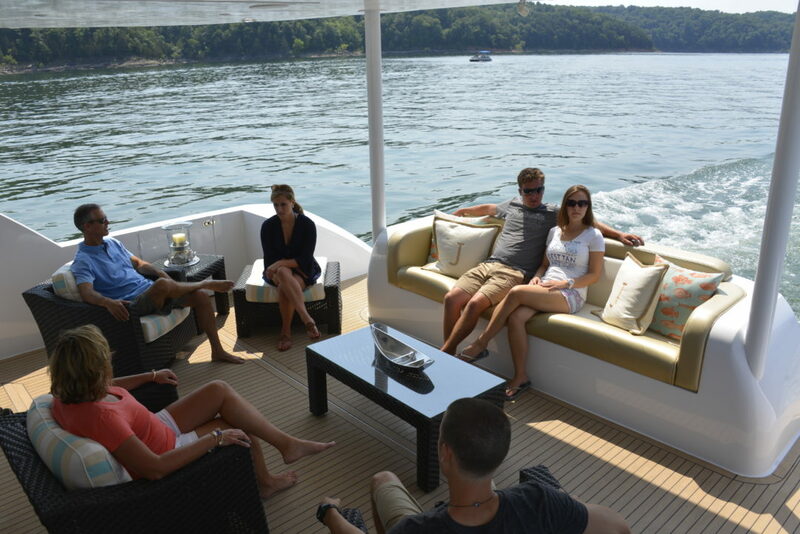 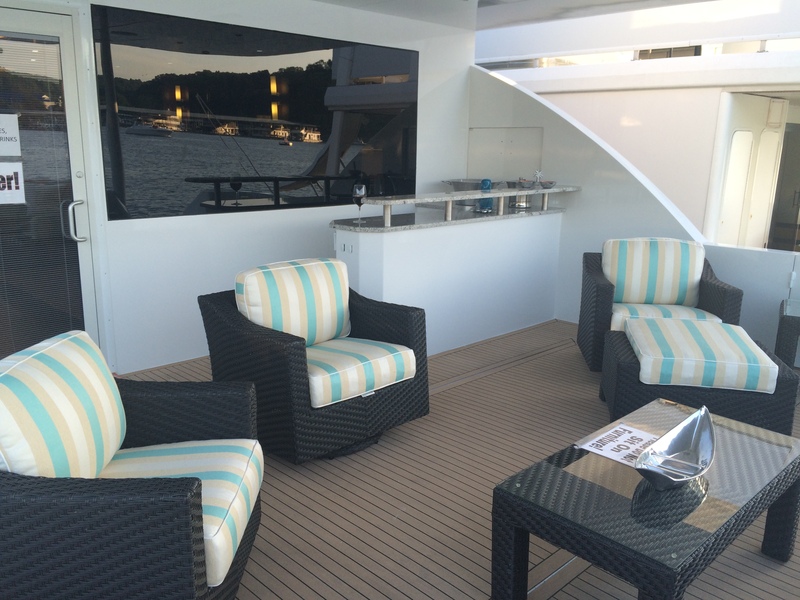 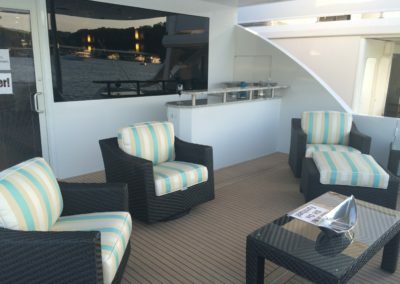 Custom designed from the keel up, Cra Sea is a stunning 20′ X 106′ floating work of art. 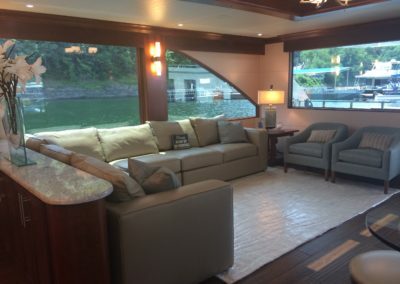 To say that she is purely a work of art would not give credit to the usability of this custom houseboat. 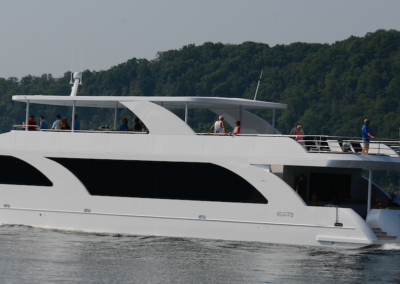 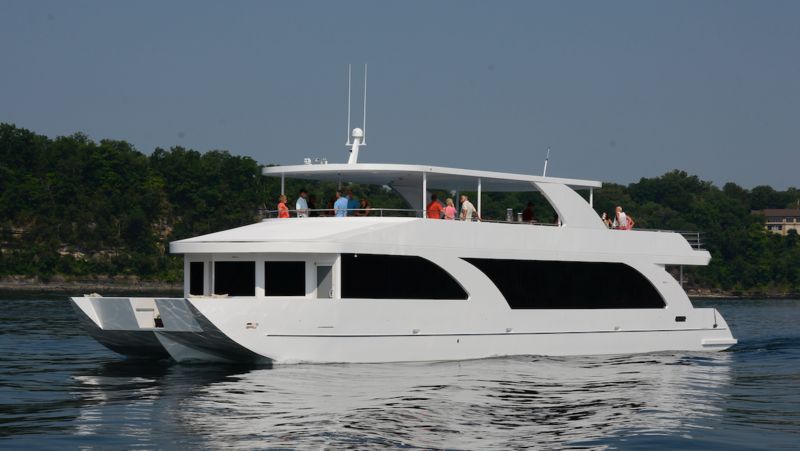 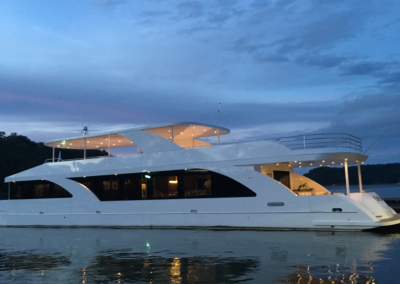 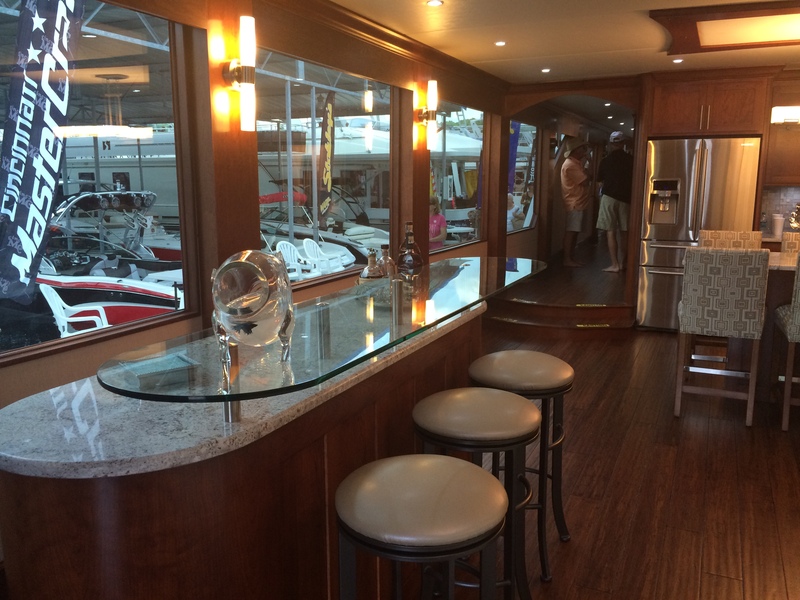 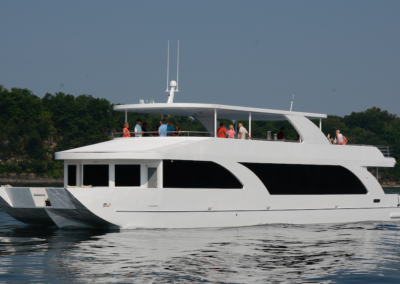 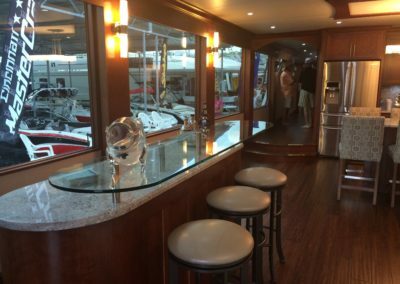 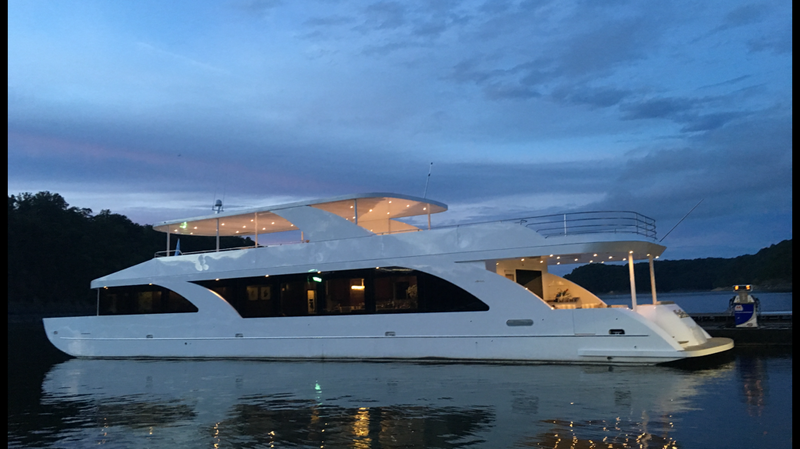 The specifications include twin 5.7L Mercury Gasoline direct drive engines, 22.5Kw Westerbeke generator, four staterooms, two baths, Type II MSD, stainless appliances, top of the line ice makers, custom integrated flybridge, elegant high-end granite on all counter surfaces and so much more. 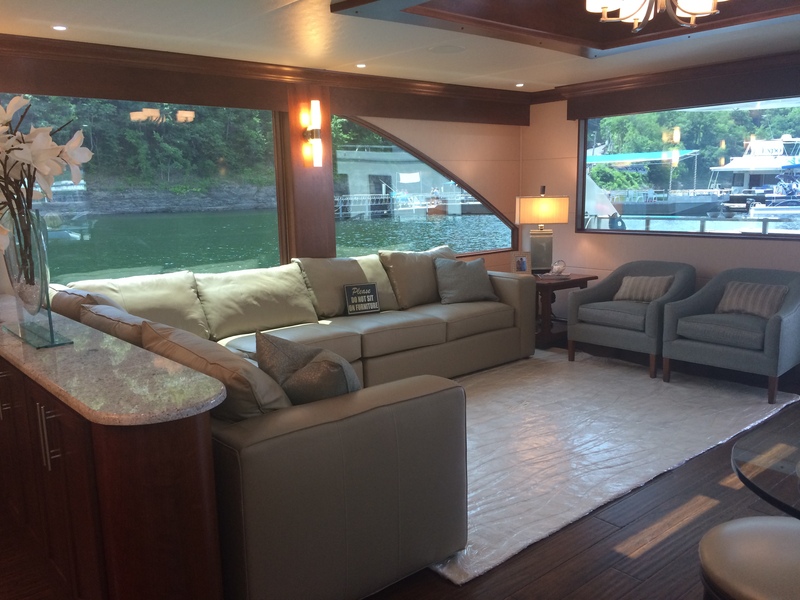 This is truly a one-of-a-kind houseboat. 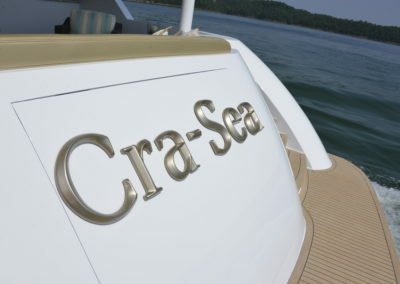 If you have any questions, please contact our sales department at sales@trifectaboats.com or 606-340-3191.